What Are Five Things You Can Do To Achieve Your Success? Keep this in mind about your journey and what it takes to make it. Is anyone reading and/or commenting on my posts? Will I get paid or recognized for my posts? The answers to all three will vary, but the bloggers that continue to still blog and become successful have two major ingredients: energy and persistence. I want to share with you how energy and persistence has help me to achieve certain goals, and how can you achieve your own goals in blogging. What path did Michael J. Fite take to get to this point into blogging? The path that I have taken to get to this point is nothing short of being dedicated to writing positive and encouraging messages aimed to uplift my readers. Here are five things that have occurred along my path in order to arrive at this point in my blogging journey. The starting point was getting Michael J. Fite off the ground. Being that I knew what I wanted to do, I needed a site that would allow for me to engage and connect with the readers. I believe and have confidence in everything that I write because it reflects my life and the lessons you and the world have taught me. I value the interaction that readers give on my posts by ensuring that I respond back to every reader who leaves a comment because it gives the posts interesting dialogues that make the posts even more meaningful to everyone. Promote the inspiration and motivation. Some people may find it annoying to see my promoting my posts all over the place, but I believe wholeheartedly in my messages that the reward of reaching the one person who needs to hear the right message at the right time will always outweigh the masses who may think otherwise. Focus on the reader versus stats or money. Although I check my stats and have a PayPal link for donations, neither one deters me from writing because the biggest reward to me is knowing that I get to help at least one person each time I write, and there is no stat or money that can outrank that joy. I will say that this path may not be what most people would want to take or endure, but it is my path and it has served me well thus far. What has energy and persistence produced for Michael J. Fite? It has been about 18 months blogging, and I have devoted a lot of energy and persistence towards writing meaningful content for you and other fellow readers. I find all of this joyful for me to do because it is something that can appreciated by everyone. Here are four major things that have occurred for me during my blogging journey. I appreciate Success Inspirers’ World and The Evolutionary Mind for giving me the opportunity to do guest posts periodically. 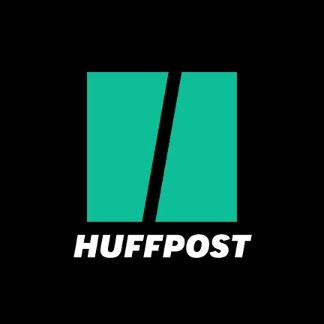 Being a Huffington Post Contributor is a huge platform to share with the world the same messages of inspiration and motivation that I share with you here. 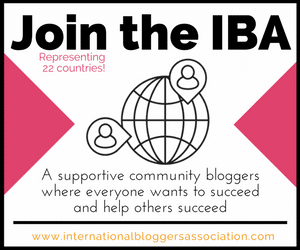 As a member of both the International Bloggers Association and the Professional Bloggers Association, I strive to write and produce content that not only meet the standards of the associations respective, but also my own standards. 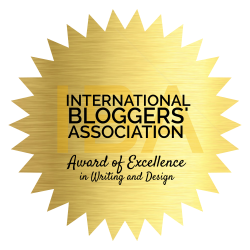 Thanks to the International Bloggers Association, I have had two syndicated blogs below that showcase the inspiration and motivation that I have to offer. Constant dedication to writing, networking, and promoting does come with its own set of challenge, but without it, I would be failing myself and you. If it were not for readers and followers like you, the successes that I have mentioned would be impossible to reach. For these two reasons, I personally want to thank every reader and follower who has come, is coming, or will come to this post or any of my many posts. You gotta start somewhere if you want to go somewhere. You can have all the goals and plans in the world, but you cannot move towards achieving them if you never begin the journey. Believe and have faith in what you are doing. Show confidence in your ability and never doubt the process regardless of whatever happens around you during your journey. You do not always need money to define success. Although money is a good way to determine success, there are other ways you can define success depending on how you choose to view them as they come. Although you are doing the hard work, remember to thank all of the people who have had a hand in helping you to achieve the goals and dreams you have set for yourself. Energy and persistence conquers all things. You have to keep going and stay focused on doing what it takes to achieve your goals even when it gets tiresome or difficult. If you can take and apply these five valuable lessons, you will find that anything is possible as long as you put in the work. Let’s remember that energy and persistence will beat inactivity and laziness any day of the week. Have you achieved your success? What all have you achieve in your journey? Why did you not achieve your success? What are you needing to do in order to achieve your success? What advice would you give to someone who is trying to achieve their success? Your answers and insight can help yourself and other people understand that if you want to accomplish your goals and dreams, you must do what it takes and continue that process until you achieve the success that you are looking for. Previous article	← What Are Five Steps Towards Building A Successful Relationship? Very informative, , thank you for sharing! Thank you for your comment and appreciation juantects! Thank you for your comment and appreciation Della! I do appreciate your comment and appreciation Erin!